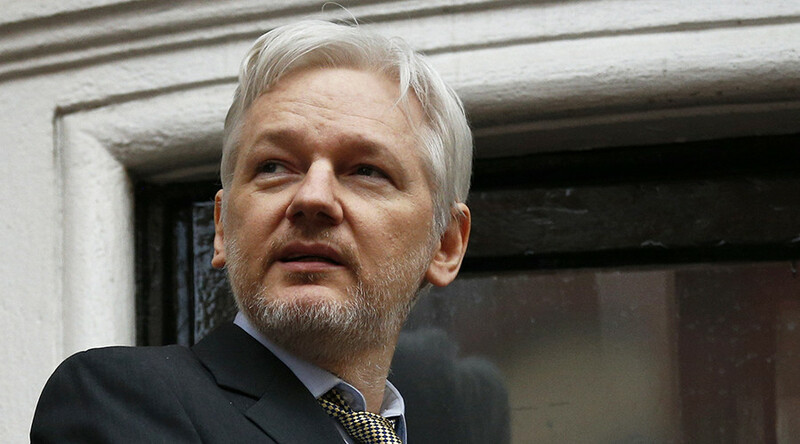 Julian Assange has “cordially” invited the losing presidential candidate to “leave Ecuador within 30 days” using similar language as Guillermo Lasso, who promised to expel the WikiLeaks founder from the Ecuadorean embassy in London should he win. In the run-up to Ecuador’s presidential elections, conservative candidate Lasso promised that he “will cordially ask Senor Assange to leave” within 30 days of assuming office, should he be elected. The pro-business candidate said the country’s London embassy “isn’t a hotel” and that Ecuador is in no position to finance the Australian’s stay there. In a cheeky response on Sunday – after preliminary results in the second round of Ecuador’s presidential election showed that Lasso is poised to lose – the WikiLeaks founder responded using the same language. “I cordially invite Lasso to leave Ecuador within 30 days (with or without his tax haven millions),” Assange tweeted, referring to the revelations made shortly before the vote. Last week Ecuadorean media exposed conservative candidate's financial dealings, accusing Lasso of facilitating capital flights from Ecuador and rallying the country’s business sector against the leftist Rafael Correa. According to reports, Lasso had engaged the US Embassy in 2007 by briefing the American ambassador on the fight against the incumbent president Rafael Correa. Washington supported the country’s opposition and big business in their effort to oust the left-wing government, according to Assange’s organization. Meanwhile Lasso is unwilling to concede to the leftist Lenin Moreno, who is leading him by two points with over 95 percent of the votes counted. Lasso claimed his own victory based on early exit poll results, and vowed to “defend the will of the people” and push for a recount of the official results. He also urged his supporters to get out on the streets and protest.